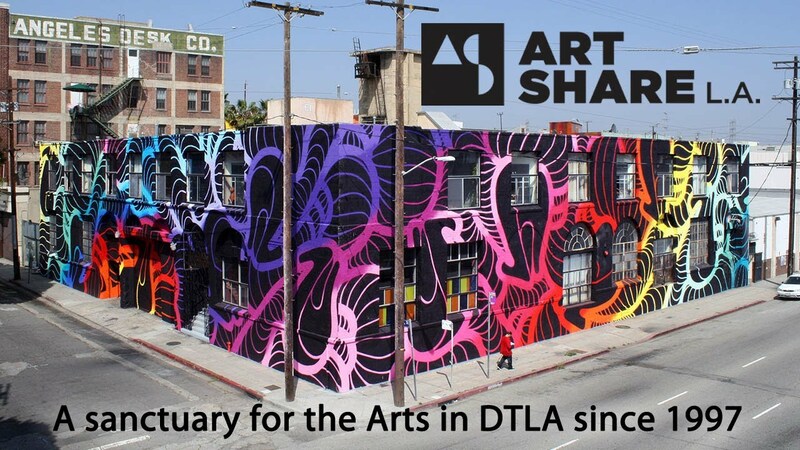 For over a decade, Art Share L.A. has provided 30-affordable live/work units in the booming Downtown Arts District, supporting hundreds of artists including Grammy Award-winning DJ, Sonny Moore (more commonly known as Skrillex). In the mid-2000’s, the facilities thrived as a center for at-risk youth—servings over 300 students per year. During this time frame, Art Share L.A. created its FACT program (Fam … Read More For over a decade, Art Share L.A. has provided 30-affordable live/work units in the booming Downtown Arts District, supporting hundreds of artists including Grammy Award-winning DJ, Sonny Moore (more commonly known as Skrillex). In the mid-2000’s, the facilities thrived as a center for at-risk youth—servings over 300 students per year. During this time frame, Art Share L.A. created its FACT program (Families and Communities Together). This program, created in collaboration with Stevenson Middle School in Boyle Heights and the LA County Probation Department, has helped families in crises for 8 years—pairing trained social workers with families in creative and expressive environments to explore conscious and constructive problem-solving skills. The economic downturn of 2008 hit Art Share L.A. in an almost devastating manner. The organization and its management struggled to make ends meet. By the summer of 2011, all staff had been cut and the agency was operating on a shoe-string budget. Property buy-out offers were on the table, but the new board of directors was dedicated to keeping Art Share L.A. owned and operated by and for the community. The new directors, under guidance of city planner, Elizabeth Peterson, brought the facilities into a new era, complete with new paint job and new staff. In the summer of 2012, Art Share L.A. ventured on a partnership that would bridge the worlds of outdoor advertising and street art—two sectors who until recently have rivaled for public space and the rights to it. In March of 2013, Art Share L.A. (in collaboration with Casey Zoltan of Known Gallery and 15 of the cities most renowned street artists) launched the second installment of the project. Since inception in 2012, more than two-dozen street artists have legally showcased on billboards through a rotating citywide gallery exhibit. Currently, Art Share L.A. is pursuing the creation of on going immersive and interactive art experiences through digital augment reality platforms like Aurasma in partnership with ceramic street artist, Zenka. We will create interactive, augmented reality ceramic art installations in the Arts District. Creative Placemaking in Downtown L.A.